I love pears, I love to eat them, and arrange them in bowls on my table. I love the way they seem to have hips and body shapes, no two just alike. 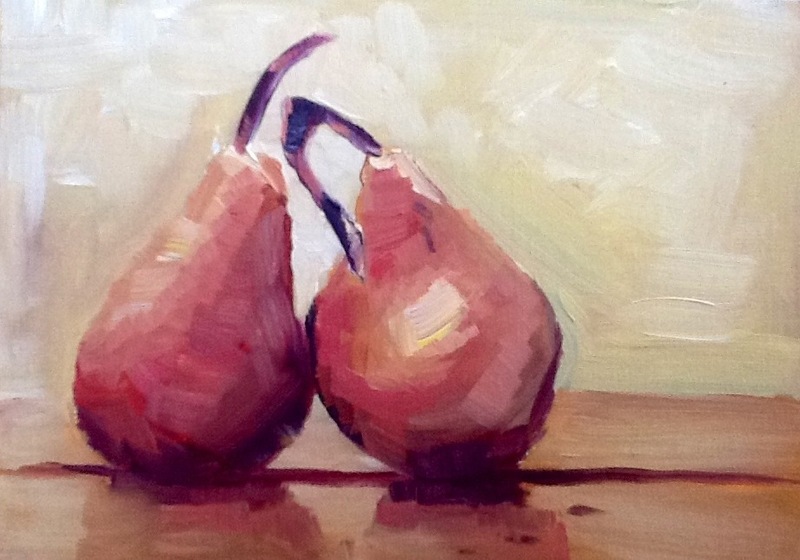 I painted these because I know I won’t be buying any pears for a while. I will trade the sturdy lunch box fruit of the school year for the tender stone fruits of summer. I love the changing of the seasons. GThey look scrumptious. I really like the reflection in the table. Julie how much would this be? We are interested Is it 8×10?